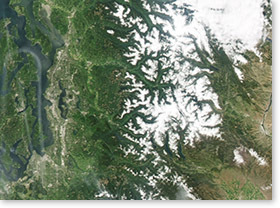 In 2015, Mark Powell swam from the headwaters of Green-Duwamish River in the Cascade Mountains to the river’s end in the saltwater of Puget Sound. From June to October, he swam 85 miles from the meandering, pristine start of the river to the polluted superfund end of the river. This site chronicles his journey. Video by Washington Environmental Council. Please share WRIA 9's 2019 state and federal legislative priorities. WRIA 9 staff and partners participated in a series of 8-minute expert talks on the Green Duwamish Watershed on May 25, 2018. Sustainability TALKS are produced by Sustainability Ambassadors in patnerhsip with Auburn School District, WRIA 9 and on behalf of schools throughout Puget Sound. The 2nd annual event will take place on May 24, 2019. All videos from the event can be found on Sustainability Ambassadors' website. Re-Green the Green from Sustainability Ambassadors on Vimeo. What Do Our Chinook Salmon Need? from Sustainability Ambassadors on Vimeo. Re-Plumbing our Entire Watershed from Sustainability Ambassadors on Vimeo. It's Salmon SEEson again in WRIA 9! 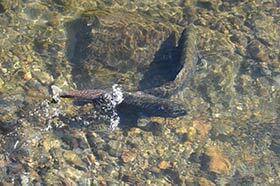 Stop by our suggested salmon viewing sites this fall to catch a sight of salmon returning upstream to spawn. Two new viewing sites in 2018 are at Miller and Walker Creeks in Normandy Park. Returning sites include Longfellow Creek, a few sites along the Duwamish River, the Whitney Bridge across the Green River, and the Soos Creek Hatchery. The King County project design team is hosting a stakeholder meeting and design charrette to collect input on the Chinook Winds restoration site on the Duwamish River, just east of the Tukwila International Boulevard Bridge. The site, nearly six acres in size, presents a rare opportunity to replace a small portion of the vital wetlands and marsh that historically covered much of the valley, while also providing invaluable habitat to fish and wildlife that use the Duwamish River. World Relief Seattle, Sustainability Ambassadors, Plumbers without Borders, and Stone Soup Gardens are transforming a parking lot into a community farm for refugee families. Learn about the rain water catchment fed irrigation system and hear stories of how this transformation is happening! Doug Osterman, WRIA 9 Salmon Recovery Manager, was joined by Louisa Harding, Postdoctoral Researcher at WSU; Jenée Colton, Aquatic Toxicologist at King County; Heidi Kandathil, Project Manager for Our Green/Duwamish at King County; and Blair Scott, Water Quality Planner/Assistant Municipal Stormwater Permit Coordinator at King County for a presentation on stormwater and contaminant impacts on Chinook salmon. More information on the Green Infrastructure Partnership can be found here. The powerpoint presentation from the 4/19 meeting can be downloaded here (Adobe 33 MB) or here (PPT 77 MB). Join us in celebrating Jay Covington at his retirement bash on May 19th! 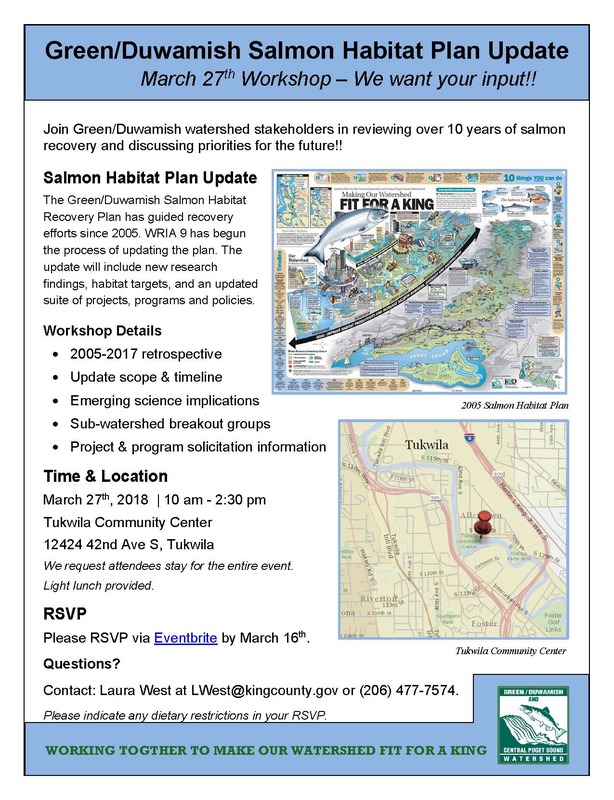 Join us for a workshop on the Green/Duwamish Salmon Habitat Plan Update! The Green/Duwamish Salmon Habitat Recovery Plan has guided recovery efforts since 2005. WRIA 9 has begun the process of updating the plan. The update will include new research findings, habitat targets, and an updated suite of projects, programs and policies. We request attendees stay for the entire event. Questions? Contact: Laura West, (206) 477-7574. 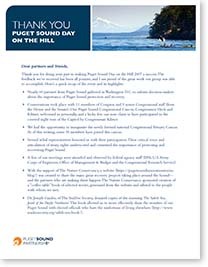 In this summary, Puget Sound Partnership Director Sheida Sahandy recaps the “Puget Sound Day on the Hill” effort in early May that brought dozens of recovery partners to Washington, D.C. to convey to members of Congress the value and importance of protecting Puget Sound. Among the attendees was Doug Osterman, WRIA 9 Salmon Recovery Manager. The summary recaps highlights of the event and provides a good update on the status of federal priorities for the Sound. Thanks to The Nature Conservancy, a website was created to share the many inspiring recovery projects taking place around the Sound; WRIA 9’s Maury Island and Quartermaster Harbor, Seahurst Park, and Duwamish Gardens are featured. On May 24, Washington Senators Maria Cantwell and Patty Murray, with other West Coast Senators, sent a letter to President Trump urging him to reinstate funding for the Pacific Coastal Salmon Recovery Fund (PCSRF) cut in the Administration’s FY 2018 budget. The Senators cite the progress made in salmon recovery with PCSRF funds and the critical role of salmon in the economic, cultural and ecosystem health of the region. 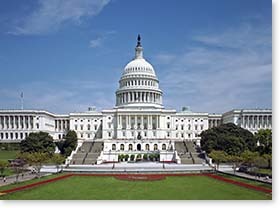 In mid June, the WRIA 9 Watershed Ecosystem Forum sent letters to all Republican members of the U.S. Senate and House of Representatives thanking them for their support for federal salmon recovery funding, and to urge them to reinstate and appropriately fund PCSRF to continue important progress in salmon recovery. What will conditions be like in the watershed this summer? Get ready for the River Festival! Work has begun on preparations for the 11th annual River Festival in August! Our event coordinator Rosario is pulling together the event committee and they are making plans for activity booths, entertainment, education, food, and of course the return of Lucha Libre! Stay tuned for ways to get involved in this celebration of Seattle’s only river, and save the date--August 26, 2017! For information or to learn how to volunteer, contact Rosario Medina at rosario@duwamishcleanup.org. Learn about this invasive weed and how to control it, and borrow control equipment free at a knotweed workshop at the Maple Valley Library. More information about this and other trainings and weeds of concern is available. Plan now to attend the Eighth Annual Northwest Climate Conference: Working Together to Build a Resilient Northwest. Each year the conference brings together more than 300 researchers and practitioners from around the region to discuss scientific findings, challenges, and solutions related to the impacts of climate on people, natural resources, and infrastructure in the northwestern United States and southwestern Canada. 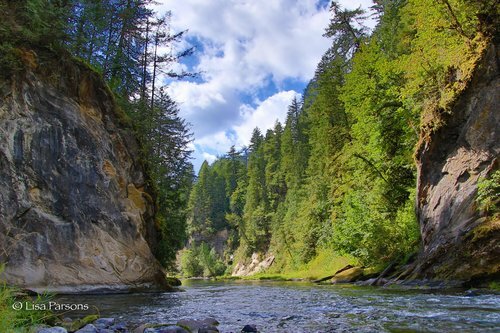 The Green River Gorge is located between the communities of Black Diamond and Enumclaw, connecting the foothills of the Cascade mountains to the Puget Sound lowlands of the Green River Valley. It's rugged remoteness creates a unique opportunity to preserve this wilderness landscape next to a growing urban area of over two million residents...if we act now. In 2016 Lisa Parsons hiked the entire 12-mile long Gorge and created an exhibition of photography, video, written word, and social medial outreach of the Gorge and her journey. 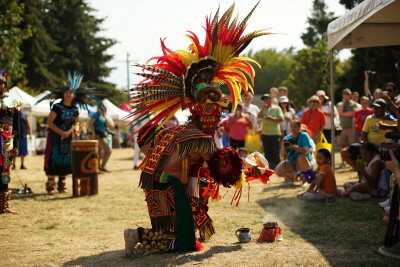 Learn more at http://www.greenrivergorgegreenway.org/. Lisa is looking for a variety of locations in the watershed to exhibit the work and give presentions on the documentary and her hike down the Gorge. Contact her at http://www.greenrivergorge.org/rsvp/ if you know of available venues. See it? Report it! Help stop the spread of invasives - with your phone! An updated app from the Washington Invasive Species Council lets you report - via your phone: unusual sightings of potential invasive species, whether it’s a new plant taking over your local park or a strange fish you reel in. Once experts verify your report, it becomes part of a nation-wide system tracking invasives. Learn more at http://www.invasivespecies.wa.gov/. The National Fish and Wildlife Foundation is accepting grant proposals for funding from the Killer Whale Research and Conservation Program (KWRCP), whose mission is to study and protect killer whales in the wild. Program priorities include supporting projects that increase prey availability, including â€œriparian and nearshore habitat restoration projects for Chinook salmon in Puget Sound.â€ Proposals are due July 13; eligible applicants include non-profits, state, federal and local governments, tribes, schools and businesses. Learn more from the National Fish and Wildlife Foundation website.